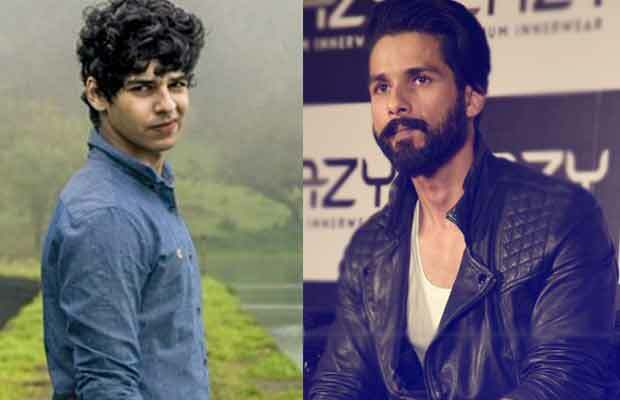 Home BOLLYWOOD Shahid Kapoor Upset With Brother Ishaan Khattar For This Reason? Shahid Kapoor Upset With Brother Ishaan Khattar For This Reason? Shahid Kapoor’s little brother Ishaan Khattar who’s a grown up now is prepping for his debut in Bollywood in Majid Majidi’s: Beyond the Clouds. Now, there are rumours that the younger Kapoor is secretly dating Boney Kapoor and Sridevi’s daughter Jhanvi Kapoor. This has left Shahid Kapoor miffed with Ishaan. The 21-year-old Ishaan is often spotted with Jhanvi Kapoor on several occasions, unlike his elder brother who likes to keep his life under the wraps. Ishaan has already started making headlines for it. A few months back, there were also speculations about them starring together in the Sairat Hindi remake. After being spotted together many times, it is being reported that Ishaan and Jhanvi Kapoor are seeing each other. However, there is no confirmation regarding the same. Well, the reports of Ishaan and Jahnavi spotted together has only added more fuel to the fire. Yes, this has left elder brother Shahid Kapoor fuming. Like a guide and mentor, Shahid has sternly advised Ishaan to maintain a low-key about his personal life and not be seen with Jhanvi publically until his debut film Beyond The Clouds releases. He has strictly asked Ishaan to pay attention to his career ONLY. Shahid has always been on a look out for his kid brother. It seems like he wants to safeguard him from all the not needed publicity he has been creating in the past few months. Well, Shahid has always tried to be a role model for Ishaan. Not many people know this, but the brothers have worked together in the film called Vaah! Life Ho Toh Aisi! – A 2005 Bollywood fantasy drama film written and directed by Mahesh Manjrekar. We hear that Shahid has almost warned Ishaan to put a stop to all these speculations and concentrate on his debut. It will be interesting to see the two working for a film together. But are there any plans? We don’t know, and only time will tell. We think Shahid is just being the protective elder brother. Previous articleOMG! Baahubali Fame Prabhas Has Found His Bride? Next articleYami Gautam’s Style Will Inspire Your Closet!